Jone's word today is WILLOW. Love the image, Mary Lee. 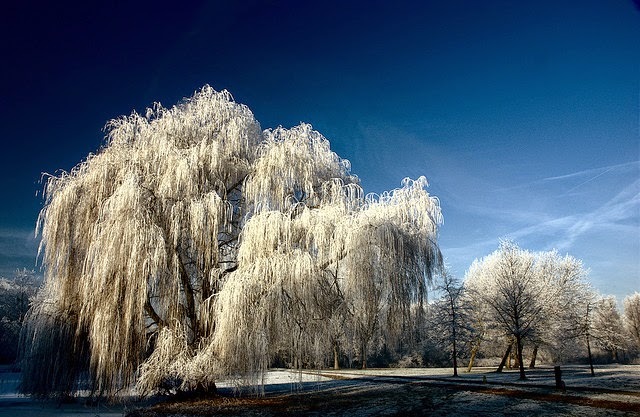 The layers of heaped on weight, a burden for an already weeping willow. But, oh, so beautiful when the sun bounces off the ice. There is such a simple beauty to this. And there are so many kinds of ice out there in the world, too many ways to break spirits.